Subtitle Studio is the only subtitle solution you will ever need: find, adjust, edit, create, embed. Everything in one app — and we are just getting started. It’s great to watch movies in their original language. Subtitles help everybody enjoy the movie. 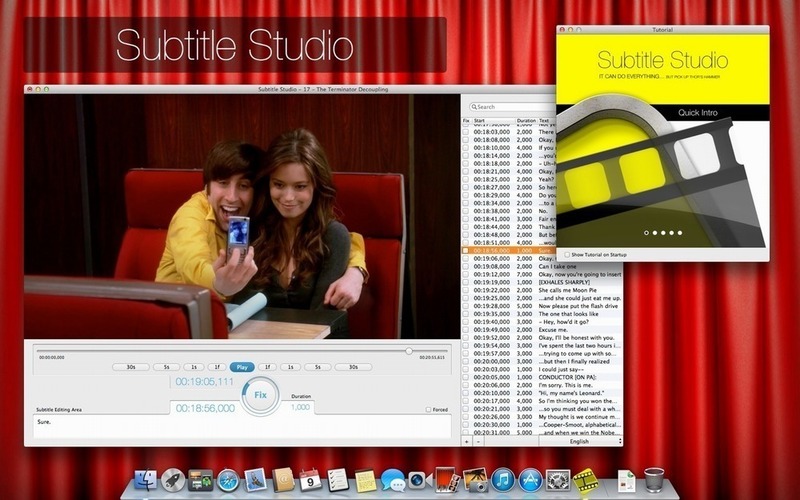 With Subtitle Studio, it’s as easy as 1-2-3, or maybe even easier. Next story Twitterrific 5.3.9 – Effortlessly read and compose tweets. Previous story WiFi Explorer 2.5.3 – Scan, find, and troubleshoot wireless networks.